Every year on or around January 25th, Scots and their friends —haggis lovers and “those-who-will-go-hungry” — sit down to a Burns Supper honouring the poet Rabbie Burns. At these suppers, revellers traditionally eat a chieftain haggis, recite lines of verse, drink drams of whisky, and generally have a good time. But there are always some at these events who are nervous of trying haggis for the first time. If your Burns Supper guests fall into this category, try some of these simple yet imaginative ways to catering for terrified guests on Burns Night. Created by Karon Grieve of Larder Love, haggis baubles are an excellent introduction to what famed haggis producer James Macsween calls, ‘the scared trinity of haggis, neeps and tatties’. 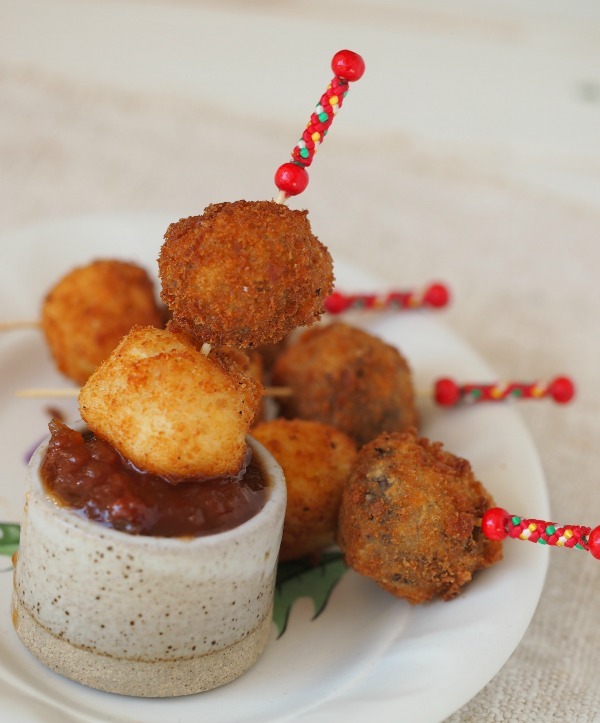 The traditional ingredients are prepared as usual, but then in a simple twist, they are rolled into large marble sized morsels and deep fried. They look brilliant served on cocktail sticks alongside a haggis sauce with malt and rich redcurrant . An entire Burns Supper in two tiny bites. Who’d be terrified of a family buffet staple like pasties? 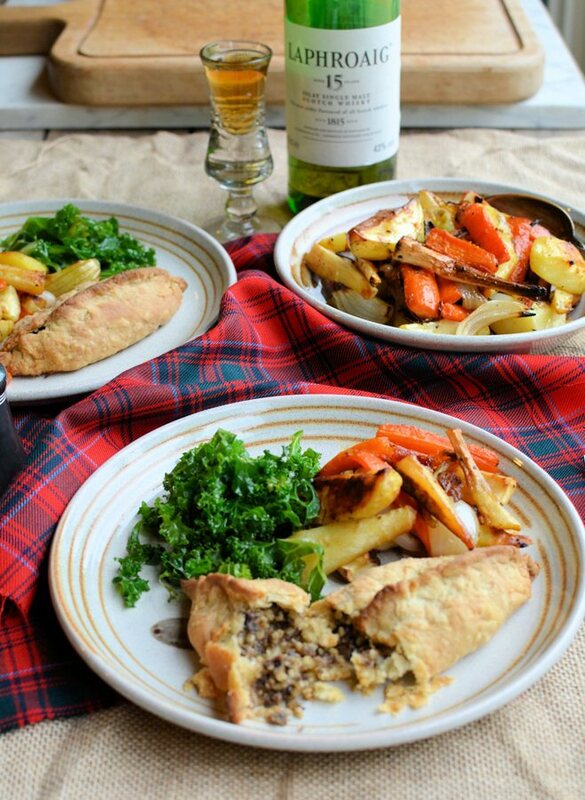 And while Karen Burn Booth’s haggis pasties pack a punch in great rich, earthy flavours, they are a much lighter alternative to a traditional Burns Supper and therefore a gentle way to reassure your terrified haggis eater. The haggis look great on a table heaving with all your favourite Scottish foods too. Tip: Make this with any flavour of haggis you fancy from classic vegetarian Macsween haggis to special edition Macsween Moroccan Spice haggis. Include these haggis pasties as part of a buffet of your favourite Scottish foods. Don’t forget the whisky! The delicious aromas rising from Belleau Kitchen’s Burns Night Chicken Thighs should be enough to tempt the most timid haggis taster and as the haggis is an added flavour to a familiar dish, it is not asking too much either. 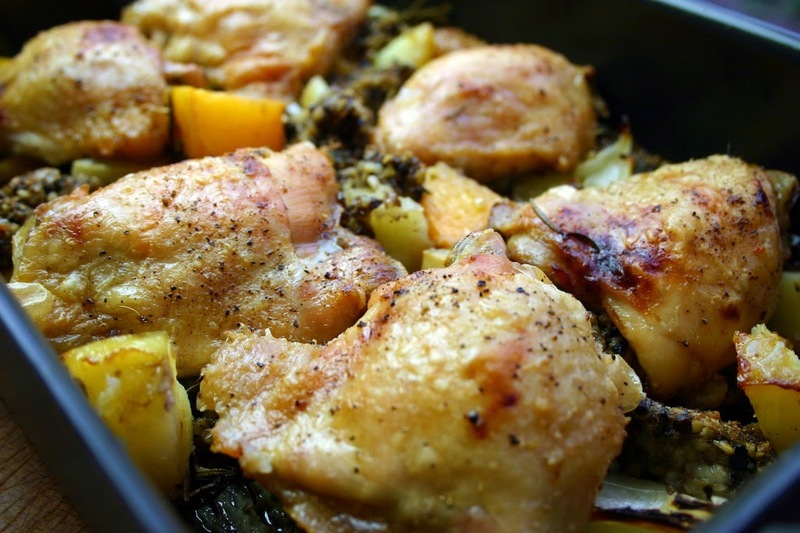 Described as tasting like “a roast chicken cooked by my grandma which is always good” it is well worth a try on Burns Night or any other night! Tip: Swap the chicken thighs for venison sausages and try with venison haggis infused with port, juniper, redcurrants and spices. This whole dish is gorgeously oozing in juices which help to roast the potatoes and turnips to perfection. Burns may have objected to the some of these modern twist on haggis dishes but he’d have enjoyed the idea of good food and a dram with friends. This year, make sure you don’t leave the non-haggis eaters out and introduce them to an exciting new taste sensation. Buy haggis online here and we’ll deliver to your door in the UK, Europe and selected countries overseas.